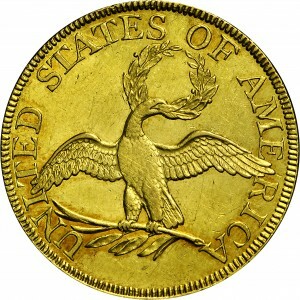 About Harry W. Bass, Jr.
Walter Breen designated this variety 6-G and considered it one of the most common die marriages among 1795 Small Eagle half eagles. While not an impossible rarity, we consider this quite scarce, probably deserving a rating of Rarity-5, with less than 50 examples surviving. Harry Bass acquired this example by trade with Stacks subsequent to the Garrett Collection auction held in 1976. Unfortunately, no earlier pedigree is available. T. Harrison Garrett and his sons, Robert and John Work, formed the coin collection later donated to Johns Hopkins University. All three were graduates of Princeton. The elder Garrett was president of the Baltimore and Ohio Railroad. 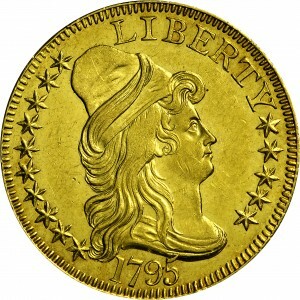 From Stack's sale of a portion of the Garrett Collection, March 1976, Lot 366. "Reverse: 3 berries; 1 outside left, 1 inside and 1 outside right." 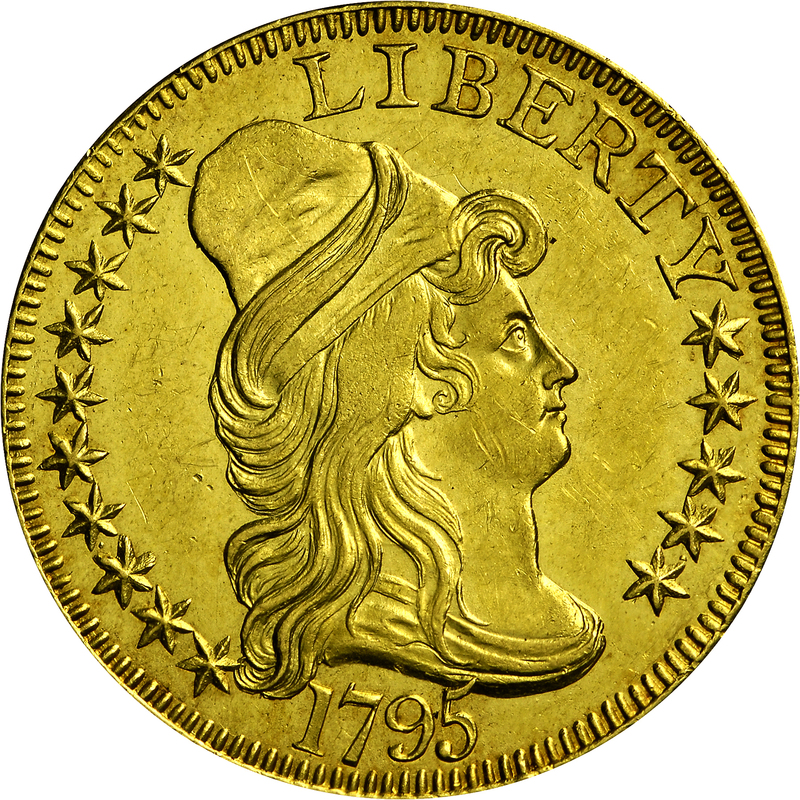 BD: Early U.S. Gold Coin Varieties by John W. Dannreuther and Harry W. Bass, Jr.
Judd: United States Pattern Coins Experimental and Trial Pieces by J. Hewitt Judd, M.D. © 2019 The Harry W. Bass, Jr. Foundation, all rights reserved.